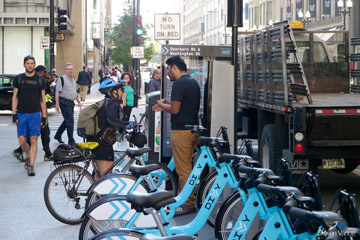 The purpose of this project is to gain some insight into city-wide biking trends by analyzing the Divvy trip data. I also analyze trip data from one single bike station at the University of Chicago to compare the biking patterns at the university against city-wide trends. All the results and plots presented in the pages below should be reproducable on your computer. Follow the Setup Instructions if you are interested in reproducing the results for yourself. This R Markdown site was created with workflowr.